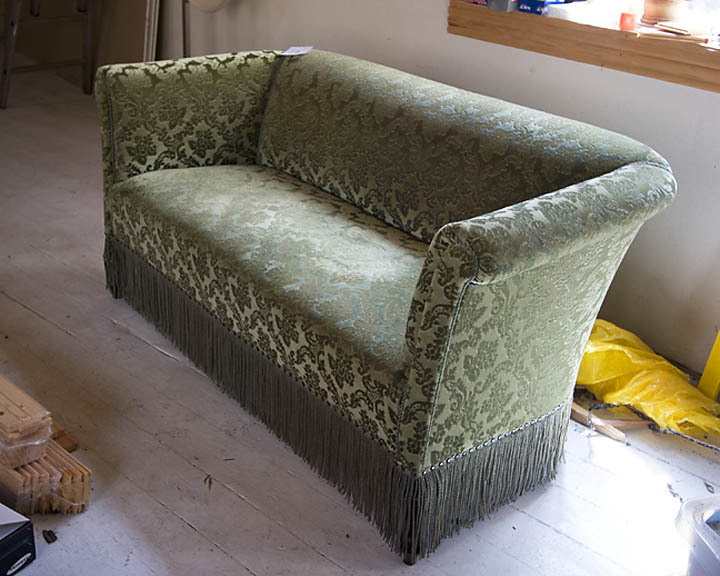 It’s the vintage sofa of my dreams! It’s made of velvet damask! It’s in pristine condition! It’s at least 50 years old! And I scored it for 575 kr. (about $100) at a secondhand shop in Denmark! 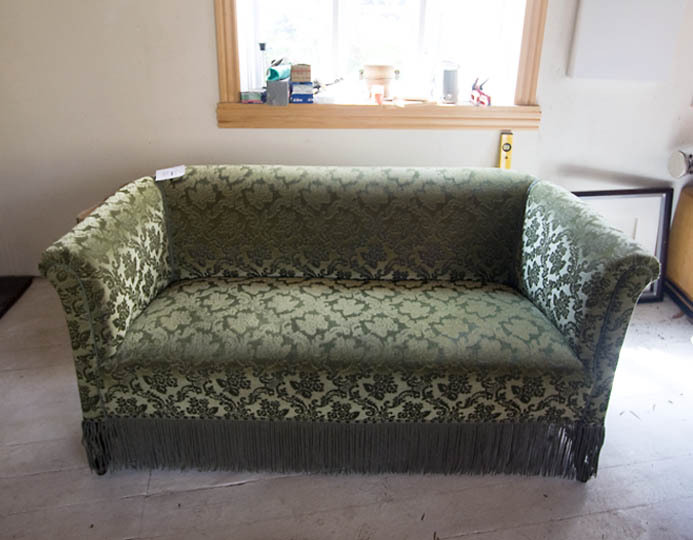 This is seriously the vintage sofa of my dreams! OMG I love it!! Look at that fringe! Though my cats would have a freakin field day with it. It’s just perfect. Uh-oh, I hadn’t considered the Opie factor. Maybe he won’t notice the fringe? Oh my gosh, it’s fabulous, Sage!